To get rid of the noise, the refrigerator will need to be shut down for a couple days to melt the ice. Then the unit will run fine for another 30 – 45 days and the whole knocking noise, ice formation starts again. And these units are less than a year old! What’s a disgruntled Electrolux customer to do? As it turns out, Electrolux has a re-work kit for this that they’ll send out free of charge under warranty. This is not a fun job and if you can get a warranty servicer to do this for you, you’ll be much happier. 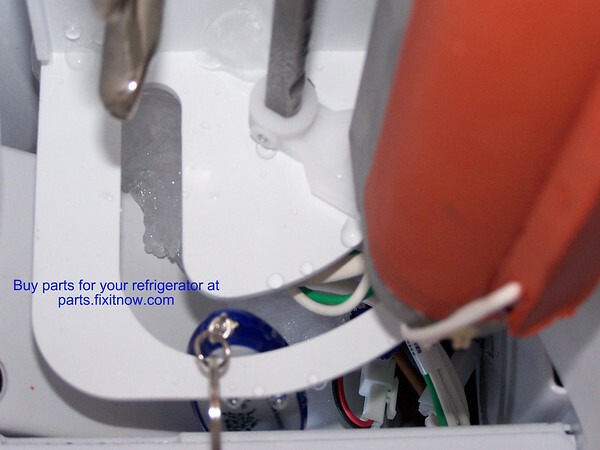 This entry was posted in Ice Maker Repair, Refrigerator Repair on September 20, 2010 by Samurai Appliance Repair Man.